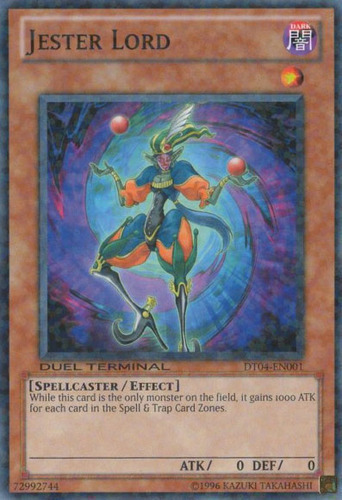 When this card is activated: Shuffle this card from the field into the Deck. 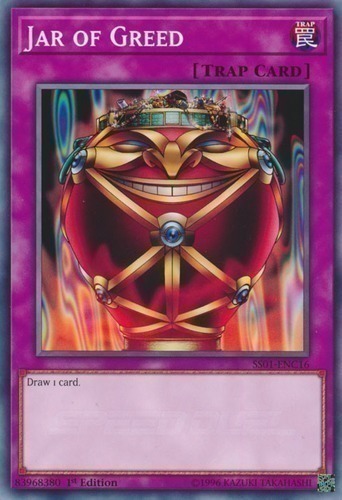 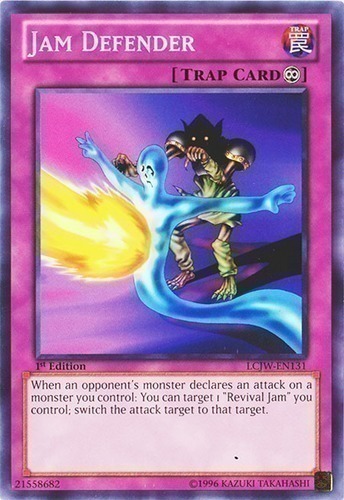 When this card in your possession is sent to the Graveyard by an opponent's card effect: Banish this card. 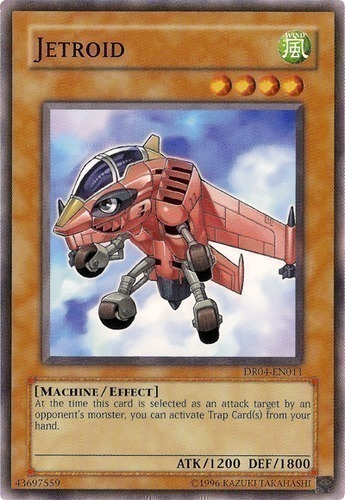 If 3 of your "Jackpot 7" are currently banished, and were all banished by this effect, you win the Duel. 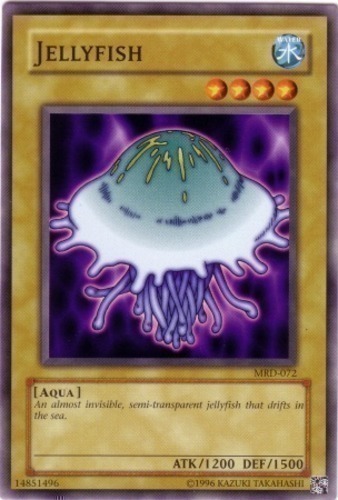 During each of your Standby Phases: Special Summon 1 "Slime Token" (Aqua-Type/WATER/LEVEL 1/ATK 500/DEF 500) in Attack Position. 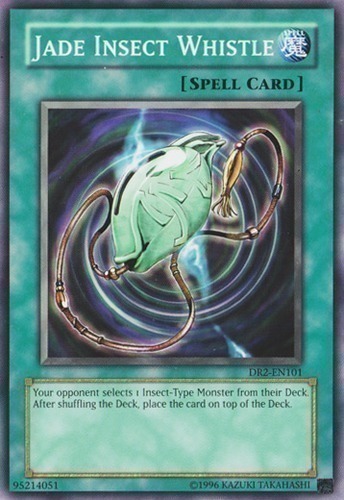 You cannot Summon any monsters, except "Slime Tokens" (but you can Set). 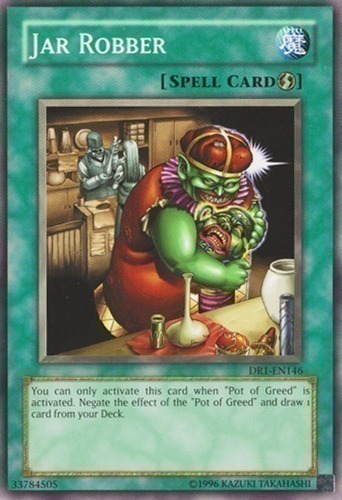 Target 5 cards in your GY, except "Jar of Avarice"; shuffle all 5 into the Deck, then draw 1 card. 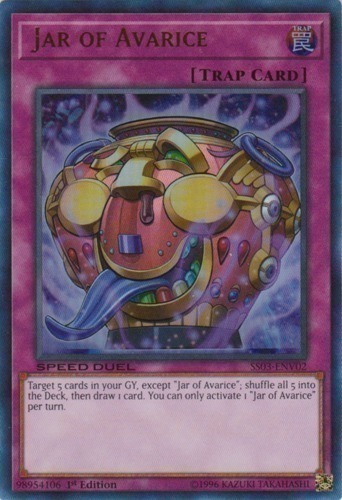 You can only activate 1 "Jar of Avarice" per turn. 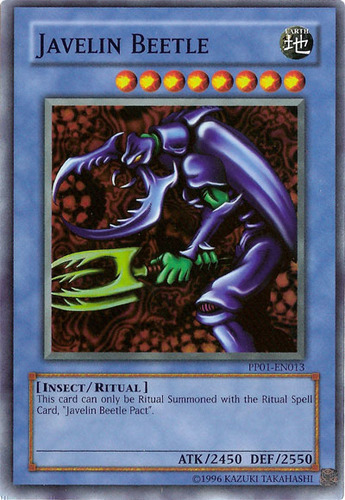 This card can only be Ritual Summoned with the Ritual Spell Card, "Javelin Beetle Pact". 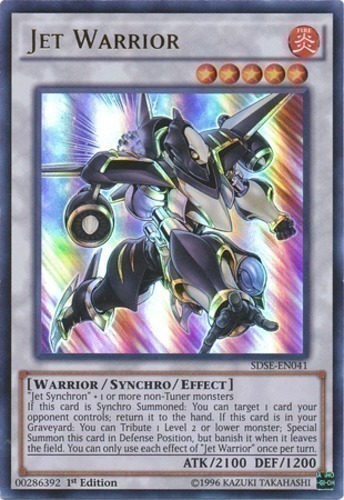 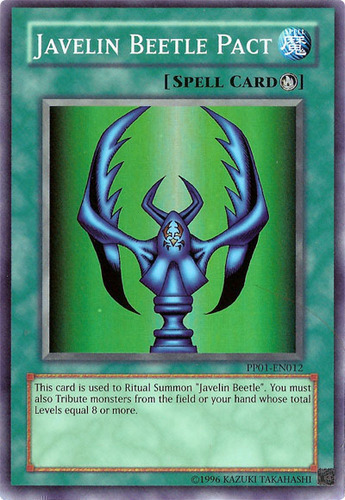 This card is used to Ritual Summon "Javelin Beetle". 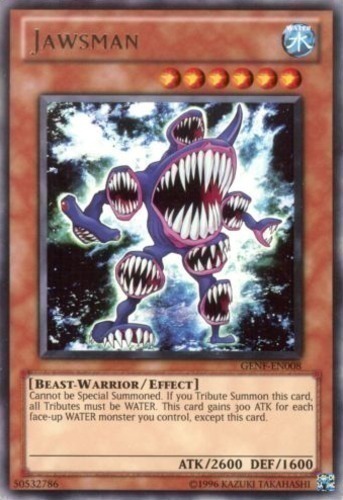 You must also Tribute monsters from the field or your hand whose total Levels equal 8 or more. 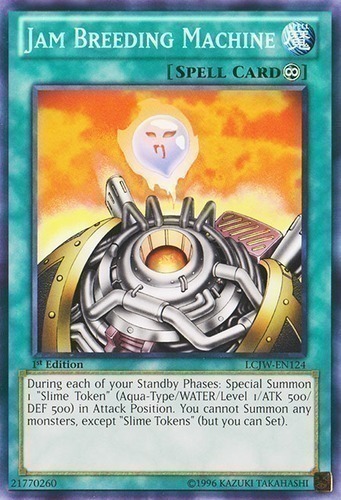 Cannot be Special Summoned. 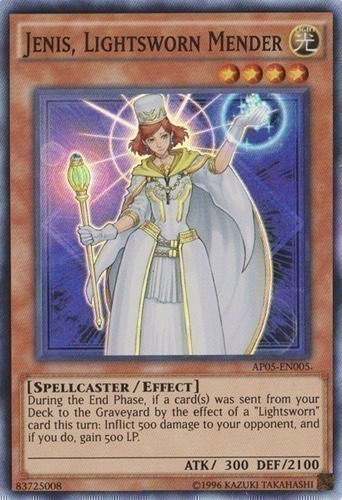 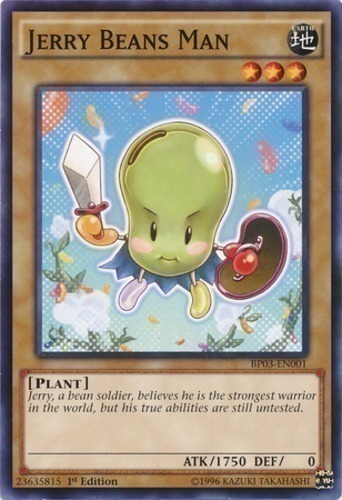 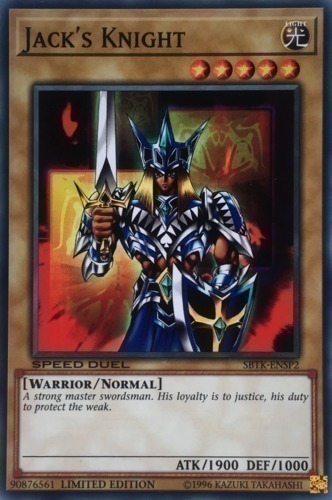 If you Tribute Summon this card, all Tributes must be WATER. 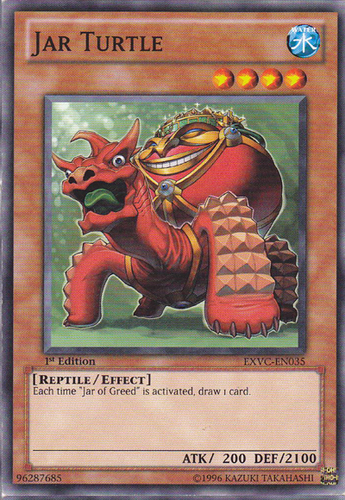 This card gains 300 ATK for each face-up WATER monster you control, except this card. 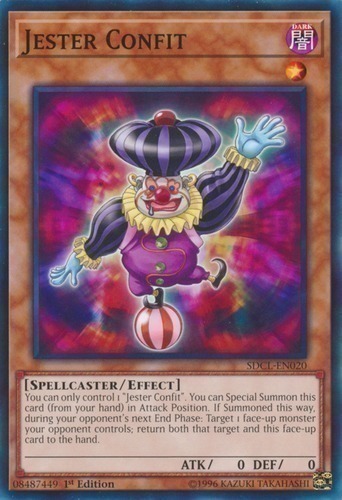 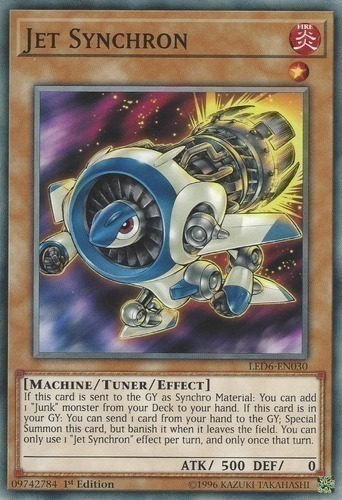 If this card is sent to the GY as Synchro Material: You can add 1 "Junk" monster from your Deck to your hand. 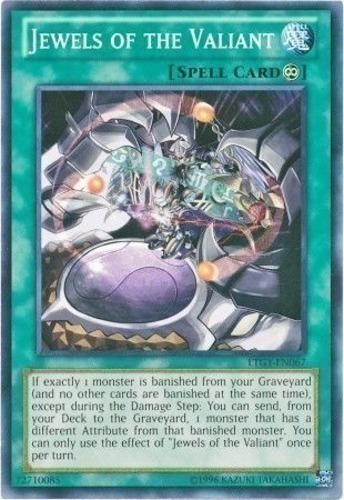 If this card is in your GY: You can send 1 card from your hand to the GY; Special Summon this card, but banish it when it leaves the field. 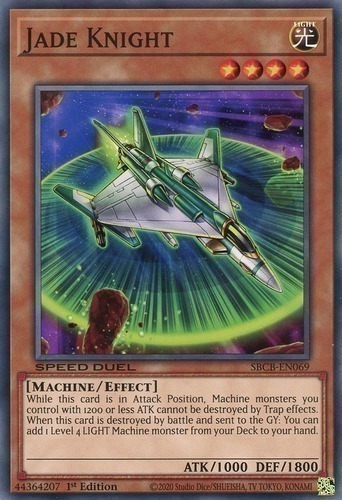 You can only use 1 "Jet Synchron" effect per turn, and only once that turn. 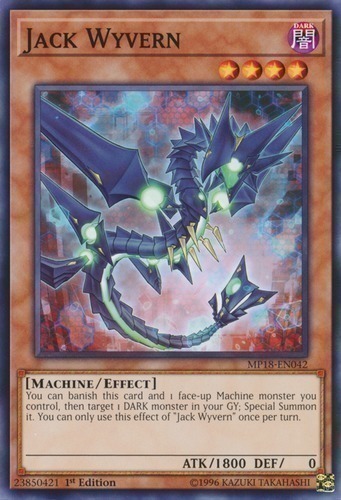 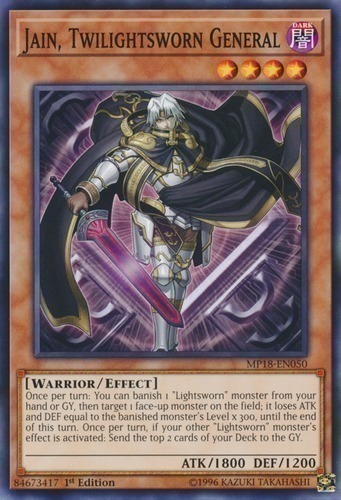 At the time this card is selected as an attack target by an opponent's monster, you can activate Trap Card(s) from your hand. 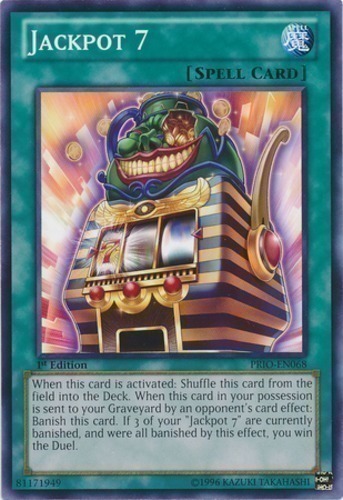 If exactly 1 monster is banished from your Graveyard (and no other cards are banished at the same time), except during the Damage Step: You can send, from your Deck to the Graveyard, 1 monster that has a different Attribute from that banished monster. 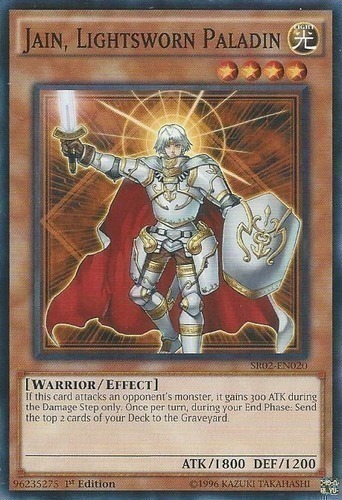 You can only use the effect of "Jewels of the Valiant" once per turn.